I love Christmas movies. Now, there are a few that aren't my favorite (Miracle on 34th Street...It's a Wonderful Life) but most of the main ones are tops in my books. Side note: why does no one say "tops" anymore? It's a fun word! Here are some of my fave movies and a little handy guide to some of the common themes. This year, I'm going to watch White Christmas with M this year. He's never seen it. (WHAT?!?!) And I always have to watch The Grinch and Christmas Vacation at least once. Are any of your favorites on the list? Which ones? I definitely use the word tops. 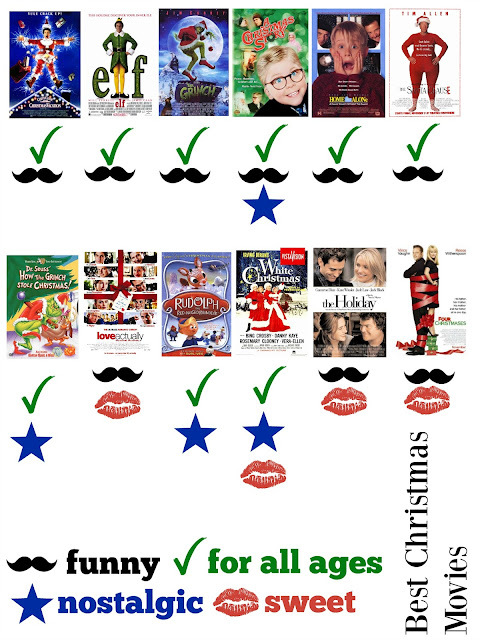 I'm not huge on Christmas movies. MFD loves them. Most kids always enjoy having parties during summer. They enjoy interacting with other kids and having fun with them in different parties. With some cool holiday party ideas you can make your parties fun and enjoyable for the kids.